Deporting legal Haitians? – Wadayasay? Deporting every person of color possible stays high on the Trump led enforcement divisions lists, ICE, DHS, and Border Patrol. While Trumps clowns on Twitter with LeVar Ball, they straight fuxing with millions of POC’s lives. Here’s another 60’000 people turn in the barrel. “Haiti has been devastated by disease and an earthquake in 2010 that killed an estimated 230,000 people. Haitian immigrants to the United States have been a benefit and boon. These are not new arrivals. These are men, women,and children who have been living here for years. Of course, the storyline that runs through this administration continues with this latest injustice. 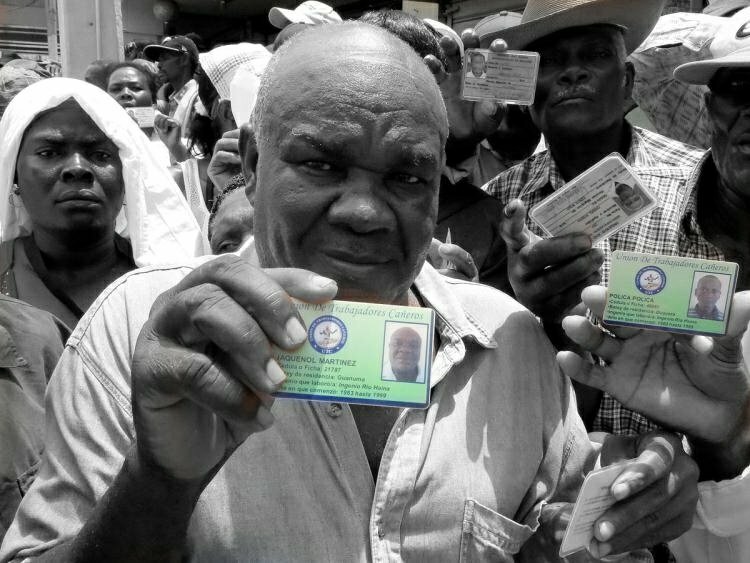 Would the Administration have acted if the Haitians who they say no longer belong were of a different ethnicity? Haven’t heard about a big push to kick out all the illegal Irish, have we? (It’s important to note the Administration also appealed their Muslim travel ban to the Supreme Court). We are better than this. And I think most Americans know it.” – Dan Rather, edited. Next Jazz with that cool hard Edge.